What is the purpose of a scent event? 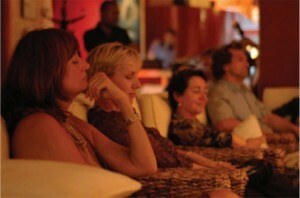 A scent event creates different moods in one and the same room with the diversity of scents. The ayurvedic principle of scents (Ayurveda Fragrance Terminology) guides visitors to their individual sensuality, total relaxation and a meditative journey into their own emotional world. Our sense of smell is closely associated with our memories, emotions and personality. Our nose remembers experiences for life in the limbic system!